Like many of you, here at Shambala HQ we’re huge fans of the humble podcast and it’s ability to transform mundane tasks like housework or commuting into delicious escapism. To the outsider, it might look like your battling through a bleak five hour stint on a megabus, but little do they know, there’s a whole world of knowledge and storytelling being piped straight into your lug holes. 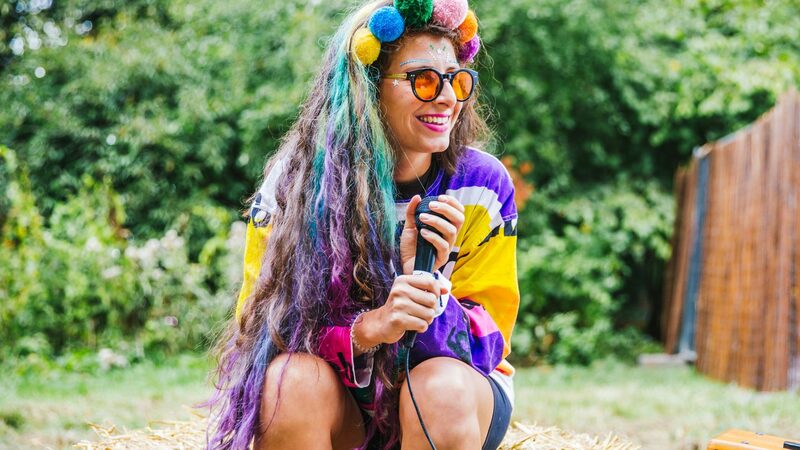 Every year at Shambala, there are hundreds upon hundreds of incredible conversations, debates and stories, and it’s impossible, even for the most dedicated, organised Shambalan to attend every single session that grabs their attention. And this, friends, is where the SHAMBALA SPEAKS podcast comes into play! Subscribe on iTunes, Spotify, Stitcher or Tune In (or listen on our dedicated podcast page HERE). In Episode One (‘Adventures in Dystopia’) Documentary film maker James Jones takes us on a 15 minute audio-journey through his travels to North Korea, the Ukraine, Saudi Arabia and inside The Phillipines’ ongoing drugs war – all places where a fear of ‘the other’ has been used to incite hate. A sombre start, but if we’re to build utopia, it’s helpful to understand what dystopia looks like.